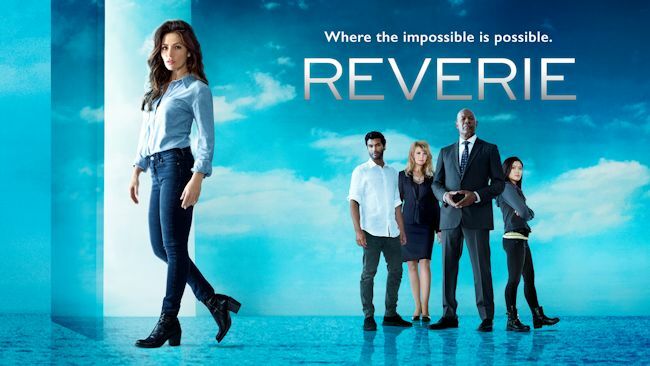 NBC has set premiere dates for its new immersive-reality drama series Reverie, starring Sarah Shahi and Golden Globe Award nominee Dennis Haysbert, as well as last summer's #1 new scripted series, Marlon. New drama Reverie will launch Wednesday, May 30 at 10 p.m. ET/PT immediately following NBC's popular summer alternative series American Ninja Warrior. From Mickey Fisher, the creator of Extant, this grounded new thriller follows Mara Kint (Sarah Shahi), a former hostage negotiator and expert on human behavior who became a college professor after facing an unimaginable personal tragedy. But when her former boss, Charlie Ventana (Dennis Haysbert), brings her in to save ordinary people who have lost themselves in a highly advanced immersive virtual-reality program in which you can live out your wildest dreams, she finds that in saving others, she may actually have discovered a way to save herself. The cast also includes Sendhil Ramamurthy, Jessica Lu and Kathryn Morris. Sitcom Marlon returns for season two on Thursday, June 14 at 9 and 9:30 p.m. with Steve Harvey's Little Big Shots serving as its lead in. It was summer's #1 new scripted series on the Big 4 networks in 18-49 and total viewers. Marlon concluded its first season by matching the show's "live plus same day" season highs with both its 9 and 9:30 p.m. telecasts. Loosely inspired by the real life of star Marlon Wayans (In Living Color, Scary Movie), this update to the classic family comedy centers on a loving (but sometimes inappropriate) father committed to co-parenting his two kids with his very-together ex-wife. While his misguided fatherly advice, unstoppable larger-than-life personality and unpredictable Internet superstardom might get in the way sometimes, for Marlon family really always does come first - even if he's the biggest kid of all. The cast features Marlon Wayans, Essence Atkins, Bresha Webb, Diallo Riddle, Notlim Taylor and Amir O'Neil. Netflix's Alexa & Katie will return for Season 2! Alexa & Katie, Netflix's first tween sitcom, will be returning for a second season... sophomore year, here we come! Season 1 of Alexa & Katie launched on March 23 and is currently streaming on Netflix. Alexa & Katie, Netflix's first fully produced tween sitcom, is a funny and heartwarming show about two best friends eagerly anticipating the start of their freshman year of high school. Despite the fact that Alexa (Paris Berelc - Mighty Med, Lab Rats: Elite Force) is undergoing cancer treatment, her outgoing personality and enthusiasm for life never falter, especially with her loyal and awkwardly adorable best friend Katie (newcomer Isabel May) by her side. At times they're left feeling like outsiders, during a period when what seems to matter most is fitting in. Tiffani Thiessen (White Collar, Saved By The Bell) also stars as Lori, Alexa's determined and protective mother. Created and executive produced by Heather Wordham (Hannah Montana, Reba), the show's star is Alexa and Katie's friendship; whether it be at school, at home, or in the hospital, they are by each other's side through thick and thin, serving as role models for modern-day female friendships.